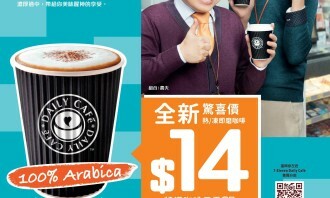 Many people can’t get up without their caffeine fix in the morning, and 7-Eleven Hong Kong is betting big on its upgraded no-frills Arabica coffee offering at its 260 stores to serve those needs. While independent artisanal cafes and chained coffee shops are booming in Hong Kong, the coffee obsession has reached a new peak in the city. 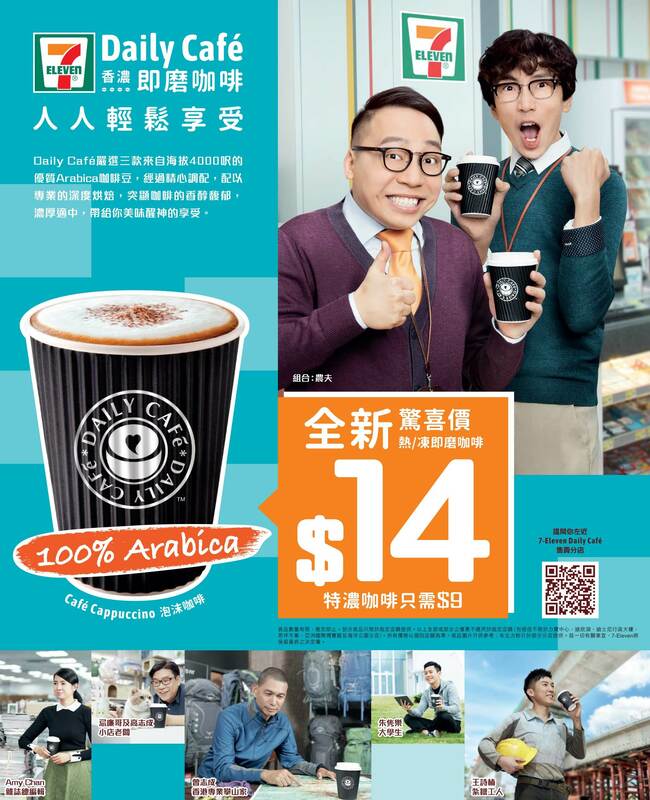 7-Eleven Hong Kong sees this potential and has unearthed a segment that has never been catered to before – for the coffee drinkers who look for a quality and freshly ground coffee at a reasonable price but do not need fancy features. 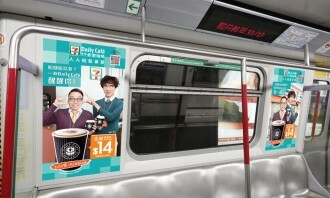 “We have done a lot of market research and came up with this insight,” said Elman Lee sales and marketing director at 7-Eleven. “Hong Kong is such a fast-paced city and not everyone has time to sit down and enjoy the coffee,” she said. She also said not every customer looks for a barista to serve them a coffee with latte art, all they need is just a nice, no-frills coffee on-to-go. That’s why she sees a big opportunity in this new market segment. Setting the flat rate at $14, Lee said the convenience store won’t sacrifice quality of the low price, “We also pay attention to details”, Lee said. For instance, their coffee beans are 100% Arabica, it uses coffee machines from Switzerland and also uses fresh milk instead of UHT so as not to corrupt the aroma. She added one of its biggest advantages is that it can leverage its massive network to promote the beverage. To maximise the exposure, 7-Eleven tapped local hip-hop duo FAMA to shoot some tongue-in-cheek videos to promote the new product. 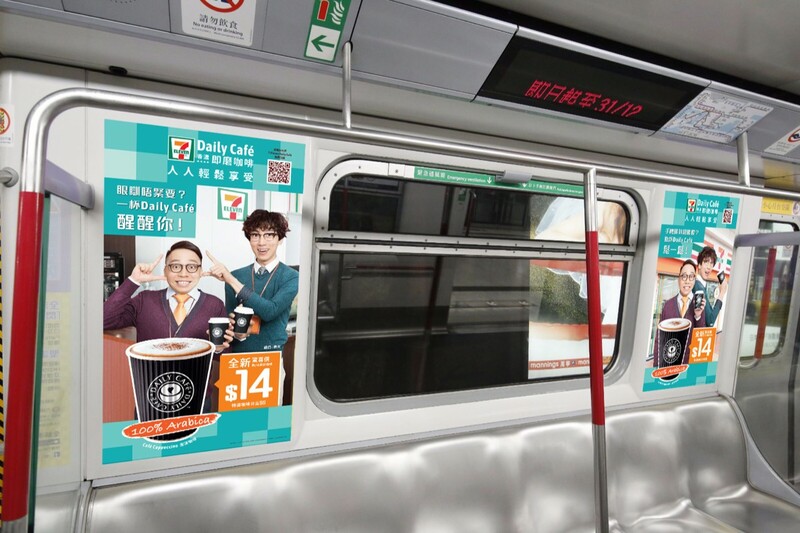 The campaign will also extend to bus ads, social media, MTR windows, print ad, promoters flyers, in order to interactive with customers across different touchpoints and different marketing channels. These stateless children are denied access to education, healthcare and protection under the law making them vulnerable to poverty..
One brand which has already jumped on board is smartphone manufacturer VIVO. ..
Frederique Covington is taking on the senior vice president and chief marketing officer role for Visa, ending a two and a half yea..